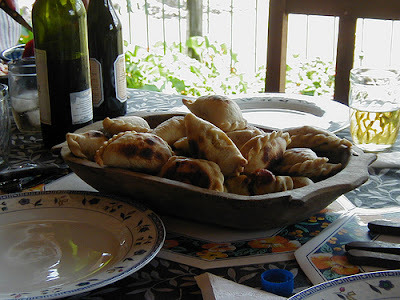 Argentina Discovery - Drinks and regional food Jujuy. Dishes and meals Jujuy essential part of the culture and tradition of the province being rooted since time immemorial, have been passed from generation to generation. 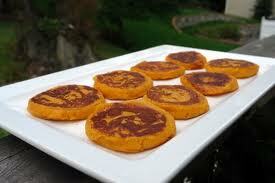 You can taste the flavors that blend the corn, input ancestral Incas, with different meals. The regional and international cuisine made ​​an offer you can not refuse. The tamales, tamales and Andean preparations will surely enjoy it, but if meat is your preference, enjoy tasty and healthy meat preparations called in classical or modern fusion cuisine own. On the origins of the kitchen Jujuy. Each place has a charm and appeal of its own that is interspersed with the flavors and aromas from the food, the fruit of their culture. It's so typical meals are prepared with Argentine Northwest recipes passed from generation to generation, since the time those where each region had only locally produced foods and those that could be achieved thanks to "barter" with people of other nearby areas with different climates. Many foods and preparation form lost its importance during the conquest, even were despised, banned and violently eradicated their customs as the case of Amaranth and Quinoa, called "meat substitute" and now begin to cultivate and use in developed countries due to their high nutritional value. Do not forget that the power of Europe changed with the introduction of valuable American species such as potatoes, corn, squash, cacao, coffee. Today also the staple diet consists of beef, lamb, llama, pig, goat and chicken with seasonings abundant as chili, cumin and paprika among others. 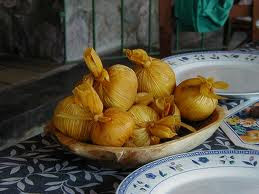 In local markets can get mote, potato, beef jerky and chalona and all other regional dishes are prepared among which are: the empanadas, tamales, tamales, locro, spicy belly guajchalocro, frangollo, chanfaina, roast flame, the charquisillo and guatia. In the Puna we can savor dishes or Tulpo calapurca. Also worth mentioning the goat cheeses made ​​following old recipes and traditional fresh cheese from the town of San Antonio, where Cobra fame and prestige for its ancestral form of preparation. Nothing like a good cheese taste regional wines with artisanal Jujuy. The local drink is Chicha de Jujuy, which can be peanut or corn. Today also highlights the new wines of the Quebrada de Humahuaca, from artisanal and small-scale production of new wineries. Fine wines flavored liqueurs regional or local, Yerbeao or punch for cold nights. For breakfast we Api and Tojorí, mate "cebao" and for digestion nothing better than a good coca tea. Many of these foods and drinks are available in restaurants, jobs fairs and festivals of Andean.